Exactly How Many Times Did Edison Fail? Exactly How Many Times Did Edison Fail? Find Out for Yourself! Unleash the power of Your Magic Future in your life! Countless motivational speakers and success coaches over the years have retold the story of one of the greatest failures in American history, Thomas Alva Edison. They have shared the tale revealing how this luminary, the gentleman responsible for bringing the modern light bulb to market, for organizing the first electric utility company to make that bulb glow, and for innumerable inventions, actually failed lots and lots of times before perfecting his innovations. This story has been summoned to prove that persistence is a great virtue, that it may even be “omnipotent” in delivering success to us, as Calvin Coolidge pointed out. Personally, I’ve been uplifted by this reference, and I have used Edison’s example, myself, in countless seminars and classes. But recently, I was watching the movie, National Treasure, when Nicholas Cage's character started lecturing about how Edison failed to perfect the incandescent light bulb. He said the inventor failed "2,000 times." For the first time, the story didn’t ring true. "What was that? How many times did Cage say?" I found myself querying the screen. "1,000 times," "2,998 times," "3,000 times," "5,000 times," "6,000 times," and "6,635 times"! Sidestep failure — become immeasurably more understood, productive, and successful! 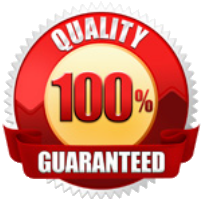 Click here to achieve everything you want through effective communication. I stopped right there, knowing I was going to find, in all probability, 1,000 more permutations, each claiming to be THE accurate statistic. One smart source, discussing writing and rejection, simply said Edison failed a lot and urged her readers to "Look it up for yourself!" Maybe she had discovered what I did, that there are a zillion misleading stats out there. And this brings me to my point. Don't believe people when they throw one of these supposed "facts" at you. Put their feet to the fire, and make them back up these blustery assertions. Be especially vigilant to dispute stats that are negative, that douse your fire to succeed, to risk, to undertake something new and unprecedented. For example, before launching new businesses, many otherwise eager folks have been cautioned that 90% of all start-ups will fail within three years. But wait a minute. You know this stat is hopelessly flawed from the get-go because there are countless start-ups that aren’t tracked by official sources. Lots of people, for instance, start landscaping businesses, without training or licenses. They don’t alert Silicon Valley venture capitalists that they’ll need first-stage funding or apply for Small Business Administration loans. With only a trusty lawnmower, edger, and shears, they knock on doors, hoping to develop a clientele. Some can’t overcome the reply, “But we have a gardener,” and they quit the business in a matter of hours, days, or weeks. Others tough it out and succeed, trimming their way to tidy profits. No matter your personal and professional dreams, it starts with communication. 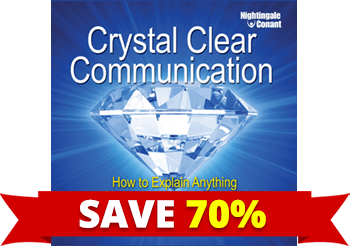 ORDER Dr. Gary S. Goodman's Crystal Clear Communication and receive an INSTANT SAVINGS of 70% OFF the regular program price! Who is tracking these start-ups, the Office of Management & Budget in the nation’s capital? Starting a restaurant is said to be the riskiest new business venture, because so many fail. If every great chef believed the discouraging stats saying he or she was doomed, no chef would ever open his or her doors. We’d all be stuck brown-bagging it and wincing through every bite of yet another cardboard airline “meal.” Because a business fails to earn a profit doesn’t mean it failed or its proprietor is a failure. People strike out on their own for lots of good reasons, and profitability is merely one of them. A major motive is to feel independent, self-reliant. For the persistent soul who actually earned the gold watch from the huge corporation, suddenly doing everything by herself and for herself in a new business can be exhilarating. That could be worth all of the sweat and tears. Plus, it may be in the cards to have one or two losing ventures before you learn how to do it better. Maybe those failures are just parts one and two of a three-part drama, necessary precursors to inevitable victory, yet they're reported as miscues. 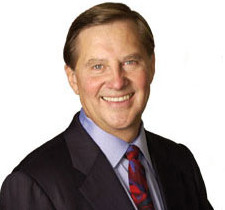 When I started my own independent consulting business more than 20 years ago, I never knew how unlikely my success was, and I'm really happy no one told me! I recall a great experience being on the team that delivered the largest civilian U.S. Navy management-training program in history. We trained 18,000 senior managers in 18 months. One of my assignments was to work with scientists at the Naval Research Laboratory in Washington, D.C. Some of them remarked that typical management-by-objectives programs weren’t a good fit for scientists because “For us, failure is success.” They explained that non-results or negative results from controlled experiments are exceedingly useful because they establish what isn’t going to work. Command attention, lead your team, and drive your point home. Statistics pertaining to failure rates are often misleading in other contexts. Babe Ruth was at the same time the home-run king and the fellow who struck out more than anyone else in the majors. How can that be? Well, the simplest explanation is that you have to swing the bat many times to hit the most homers, and swinging the bat many times also brings many strikeouts. So, the very thing that causes your success contributes to your failure. One statistic alone, even if accurate, doesn’t tell the entire story. Apart from invention and entrepreneurship, it is all too easy to be daunted by statistics in our personal and family lives. He meant the chances for having a baby with birth defects, which of course, is a serious matter. But what he didn’t come across is a disconfirming research finding that the odds, at his age, of siring a less healthy child were approximately ONE PERCENT higher. I didn’t tell him because I realized that he saw some headline, got scared, and his mind snapped shut. Just yesterday, I happened upon a book that discusses risk taking, and the author confirmed that most of us overreact to statistics regarding possibilities for failure. Worse than misinterpreting or having incomplete statistics is the widespread tendency to simply give them far too much weight. We cede to them the power to curb our goals and to intimidate us, and the authority to rationalize retreat. I was awarded a Black Belt in Chinese Kenpo Karate after eight years of dedicated study and work. I was only the 20th Black Belt promoted by our dojo since its founding, in 1974. I’ll put that into perspective for you. Over those eight years, the Sensei was fond of telling students as we lined up for class, “Do you know how many thousands of people have stepped onto this mat and have come and gone, but you’re still here?” It’s a statistic that most of my sparring partners found daunting, so much so, that they packed it in and quit before reaching the highest levels. “Gee, it must be ten thousand to one that I’ll reach Black Belt,” they probably calculated. They interpreted the statistic in exactly the opposite way that the Sensei had intended. He was actually complimenting them on their grit and persistence. He said they had staying power, and they thought they were being shown the door. Statistics can never intimidate us unless we allow ourselves to become manipulated by them. I saw the Sensei’s message for what it was, that it was proof that I would be one of the exceptions to the rule, that in the end, I would prevail. Remember that scene in the original Star Wars movie when Han Solo is about to launch hyper-drive to evade Imperial captors? 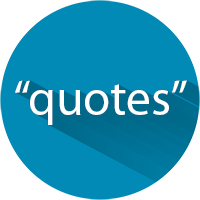 A sidekick says, “Do you know the odds of getting away?” and Solo snaps back defiantly, “Never tell me the odds!” That’s as good a mantra as any, if you aim to be successful. For every statistic, apart from death and taxes, there are exceptions. You might say exceptions are reserved for exceptional people. YES, I am ready to use effective communication as my quickest path to become immeasurably more understood, productive, and successful! 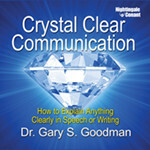 Please send me Dr. Gary S. Goodman's audio program Crystal Clear Communication — including 6 AUDIO CDs and a WORKBOOK ON CD for just $69.95, which is 70% OFF the regular program price. Take advantage of this limited-time special discount NOW! If within 30 days I don't find this program to be life-changing, I will simply send it back for a full refund. No questions asked.